SBI Recruitment 2018 - Apply Online for Post Doctoral Research Fellow Posts in SBI, Maharashtra. Online Applications are invited by State Bank of India from 16 Jul 2018 to 30 Jul 2018 for 5 vacancies. SBI Post Doctoral Research Fellowship Result 2018: State Bank of India has announced the Result on 10 Oct 2018 for the exam . 28 years to 40 years as on 30 Jun 2018.
i) Ph.D in Banking/ Finance/ IT/ Economics related to BFSI sector. ii) Minimum 3 years’ Post Qualification experience in Teaching/ Research work in Premier Institution/ University (like IIMs, IITs, ISB, XLRI or equivalent) OR Consultancy. ₹1,00,000 Per month (not negotiable), subject to deduction of TDS as applicable. On the basis of Interview and Merit List. Eligible candidates may apply online at SBI's website (direct link is given below) from 16th Jul 2018 to 30th Jul 2018. After applying online applicants need to send the hard copy/print out of online application form along with Self-Attested Copies of documents Mentioned below to “State Bank of India, Central Recruitment & Promotion Department, Corporate Centre, 3rd Floor, Atlanta Building, Nariman Point, Mumbai (Maharashtra, INDIA), PIN-400021”. The application with all relevant documents should reach on or before 07th Aug 2018. Curriculum Vitae including the list of publications. A two page write-up on the high quality publication by him/her. A two page write-up on the intended research work at SBI. At least two letters of recommendations / reference - one from a peer regarding the research capabilities and one from applicant’s dissertation supervisor or from the academic institute. Photocopies of the Educational certificates and mark sheets. In case of non-receipt of hard copies of online application with the above-mentioned documents by the aforesaid date, their candidature will not be considered for shortlisting and interview. SBI Recruitment 2019 - Apply Online for 8904 Clerk Posts in SBI, Across India. Online Applications are invited by State Bank of India from 12 Apr 2019 to 03 May 2019 for 8904 vacancies. 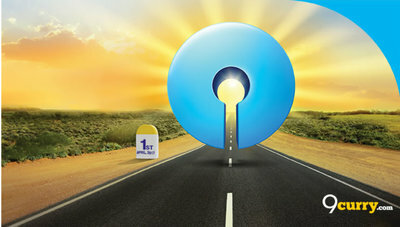 SBI Recruitment 2019 - Apply Online for 2000 Probationary Officer PO Posts in SBI, Across India. Online Applications are invited by State Bank of India from 02 Apr 2019 to 22 Apr 2019 for 2,000 vacancies. SBI Recruitment 2019 - Apply Online for Specialist Cadre Officers Posts in SBI, Mumbai, Maharashtra. Online Applications are invited by State Bank of India from 05 Apr 2019 to 25 Apr 2019 for 4 vacancies.